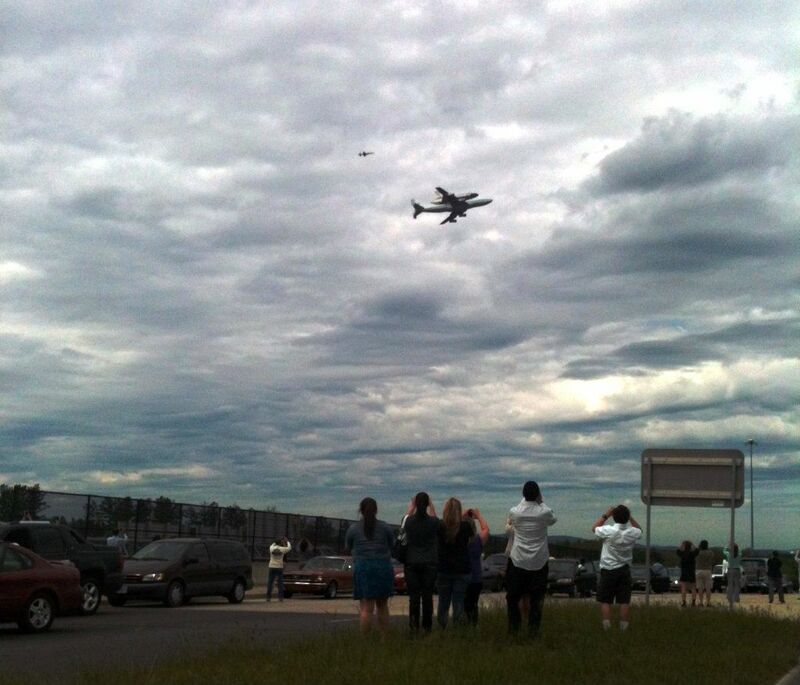 Discovery Shuttle Last Flight. My own photo. Here are some that I really like. The 18-cent Space Achievement commemorative stamps in block of eight were issued on May 21, 1981, at Kennedy Space Center, Florida. 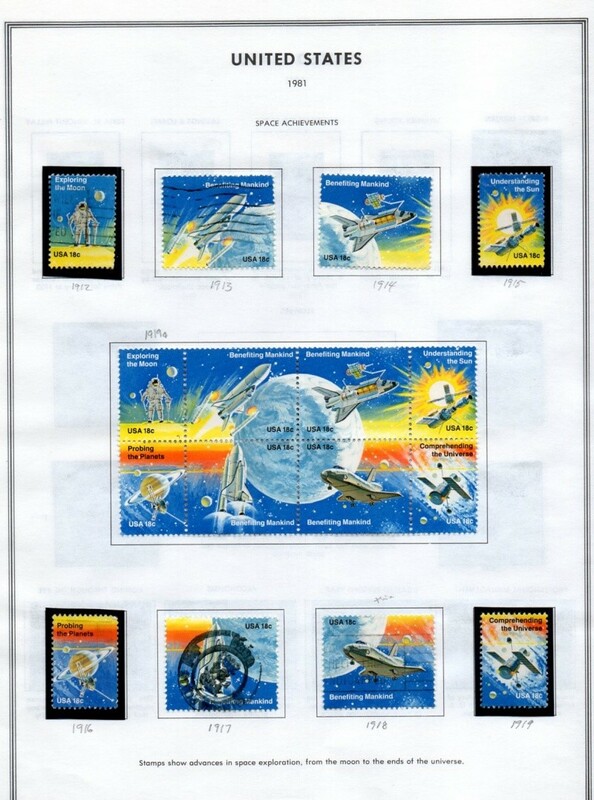 The stamps focused attention on the first flight of the space shuttle and the culmination of twenty years of manned space flight. The stamp design by Robert T. McCall includes renderings of the historical moon walk, Columbia space shuttle in flight, Skylab, Pioneer 11, and telescope. The block of eight stamps was issued in a pane of forty-eight and printed on the photogravure press.